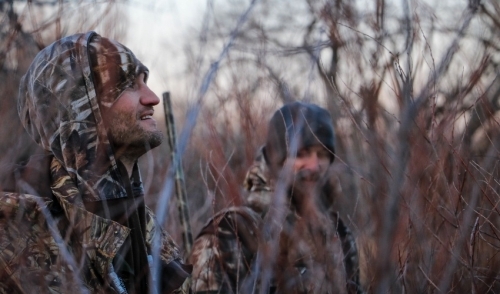 Like any sport, hunting requires special clothing and fabrics. These fabrics are designed to increase your ability to hunt with more success and safety. Choosing hunting clothing and fabrics largely depends on the region, weather, and game being hunted. These are important factors and are always subject to change. Having a variety of different fabrics and clothing options available will enable greater options and greater success when hunting your trophy. It will also increase your ability to adapt to varying conditions. For most hunters, the better part of hunting takes place in colder climates and seasons. This means the experienced hunter requires the right amount of clothing without all the added bulk from wearing too many layers. Being able to dress warm while still maintaining agility in colder climates is a valuable skill when hunting. To help achieve this skill, it is important to use hunting performance fabrics. These performance fabrics will help increase your overall comfort, warmth, and breathability while in the outdoors. In turn, this will give you the movement needed to increase your overall success. There are a number of different performance fabrics to choose from. One the best fabrics for hunting is Gore-tex. This fabric is one of the most breathable fabrics on the market and is also waterproof. Gore-tex is a strong, micropourus material that is completely waterproof, windproof, and breathable. The secret lies within the Gore-Tex membrane, which contains over 9 billion microscopic pores that are approximately 20,000 times smaller than a drop of water, but 700 times bigger a molecule of moisture vapor. This fabric was first introduced in 1978 and survived the test of time for it was one of the best hunting fabrics for wetter climates. Another great fabric for hunting is Thinsulate by 3M. Thinsulate provides insulation that allows you to control the amount of insulation with different weights. Thinsulate Insulation keeps you warm in colder climates through microfibers that work by trapping air molecules between you and outside. Because these fibers are so thin, they are able to trap more air in less space. Thinsulate is breathable, moisture-resistant, and easy to take care of. One last great fabric for hunting is Scentlock. Every hunter knows what this does. Scentlock chemically eliminates human odor than can be easily detected by deer, wild boar, and other game animals. Incorporating enzymes, cyclodextrin, capture, and antimicrobials into the fabric used to make the clothes accomplishes this advantageous effect. Other performance fabrics include brands that use moisture wicking technology, keeping you feeling dry, They work well for both colder and warmer hunting climates. The types of performance fabric listed above will increase your ability to hunt game and allow you to wear long sleeves and pants year round for full coverage and concealment. Next time you are out shopping for hunting clothes, make sure to buy clothes that include the performance fabrics and the game animals will not stand a chance.